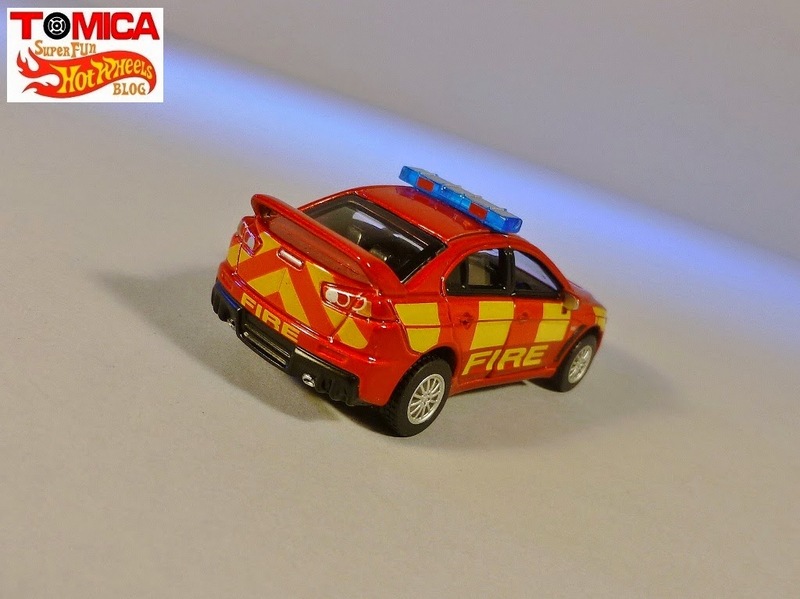 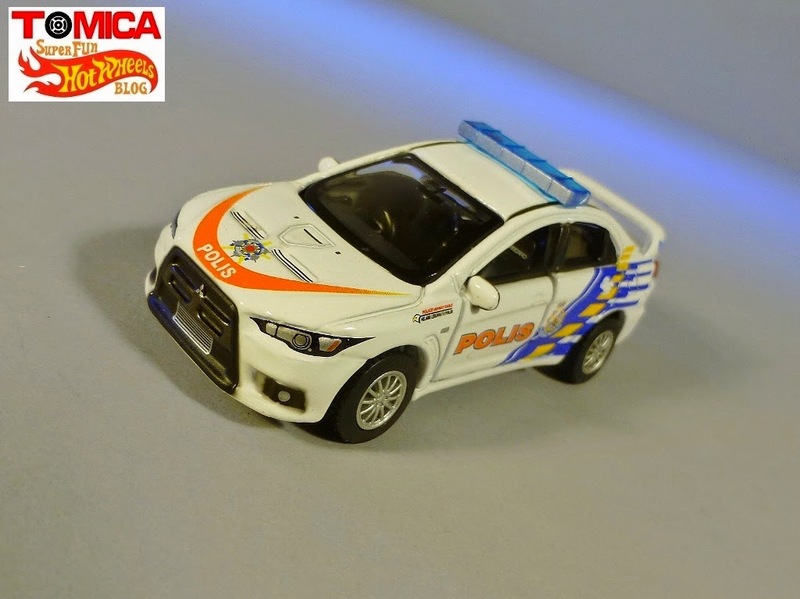 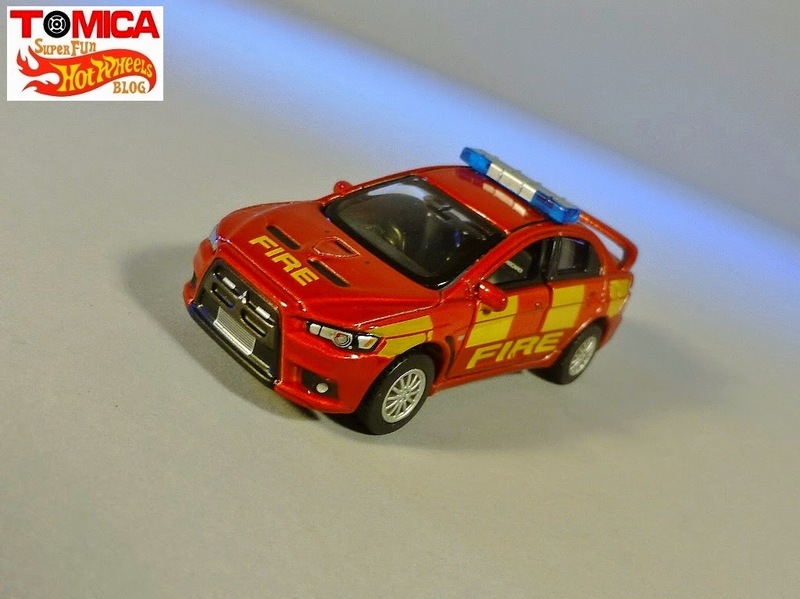 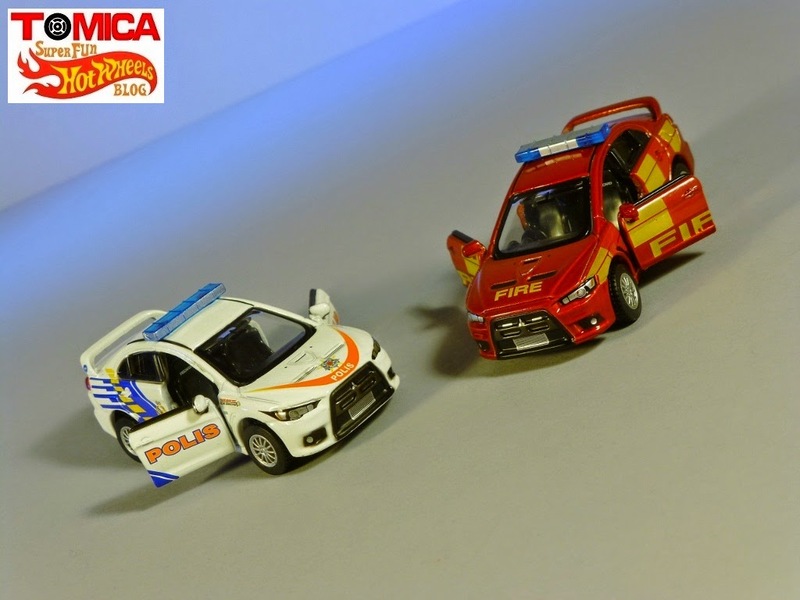 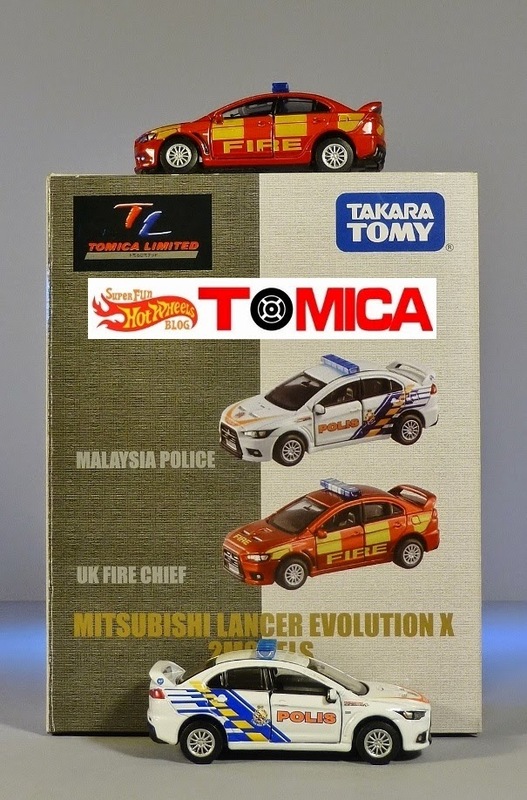 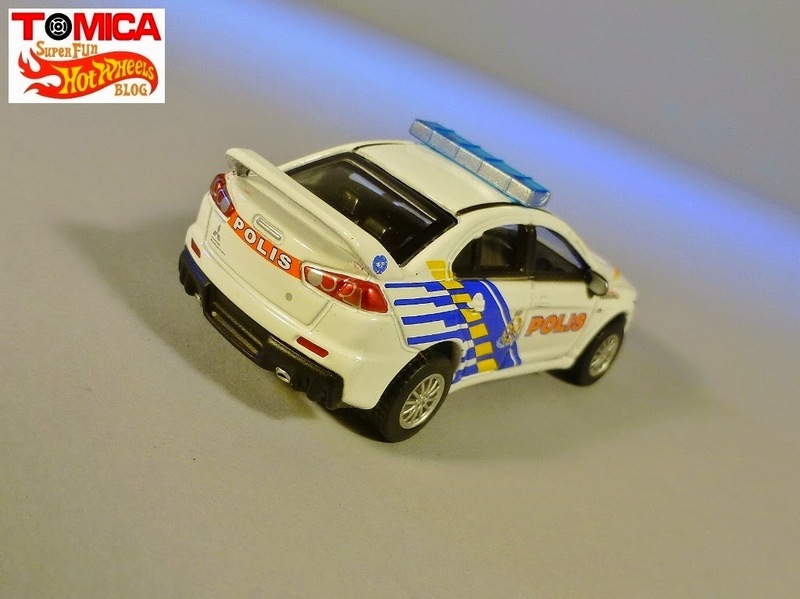 This Tomica Limited 2-pack features one Polis Lancer, and one Fire Chief deco. 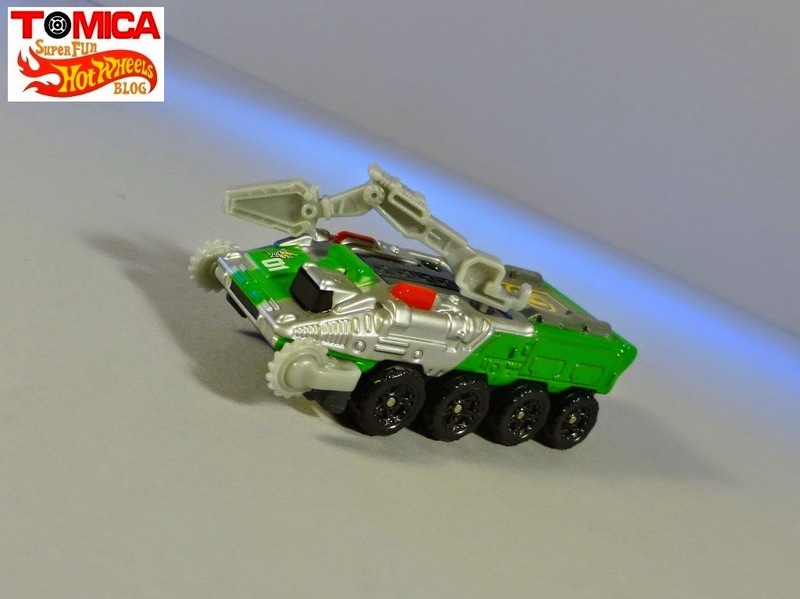 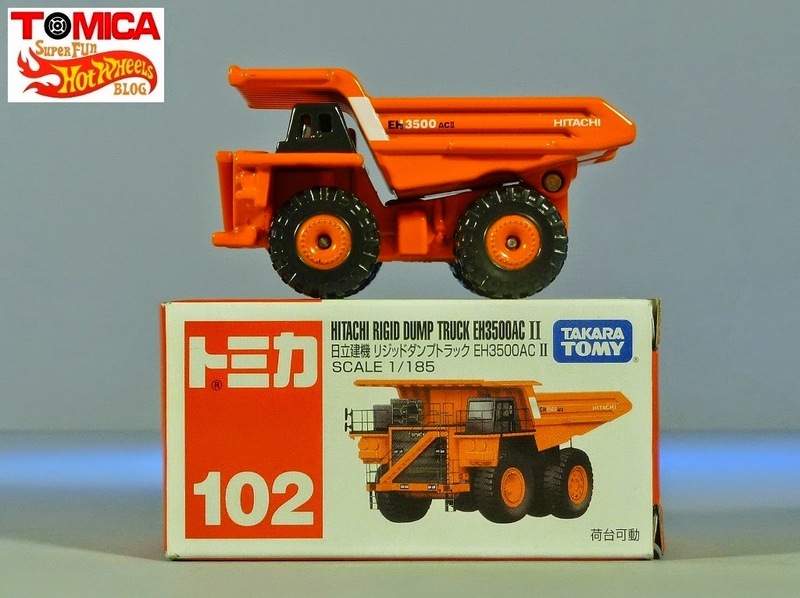 These are more detailed than the HED Tomica I've been posting on since my recent obsession took hold. 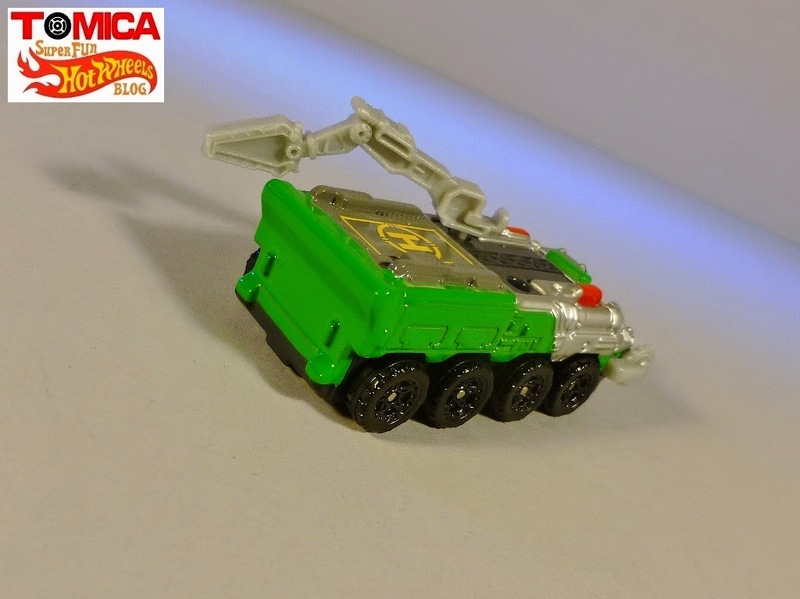 They also have rubber tires. 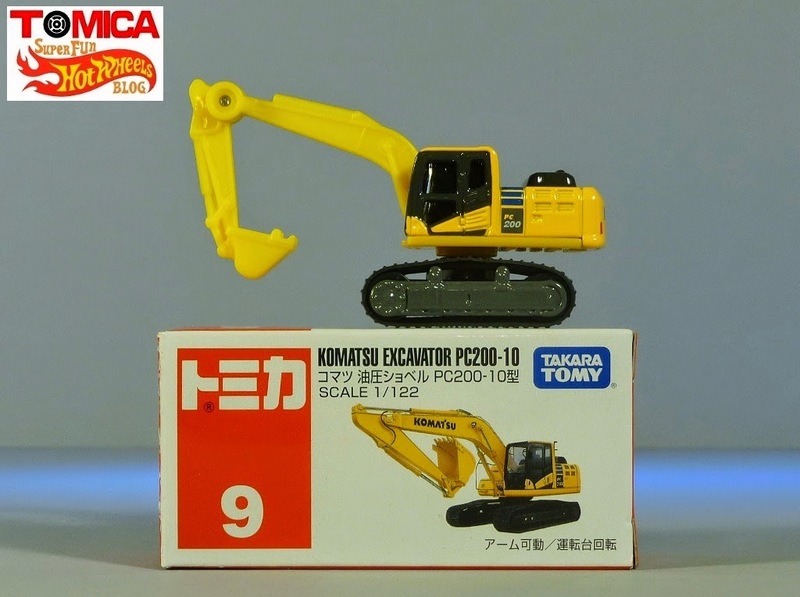 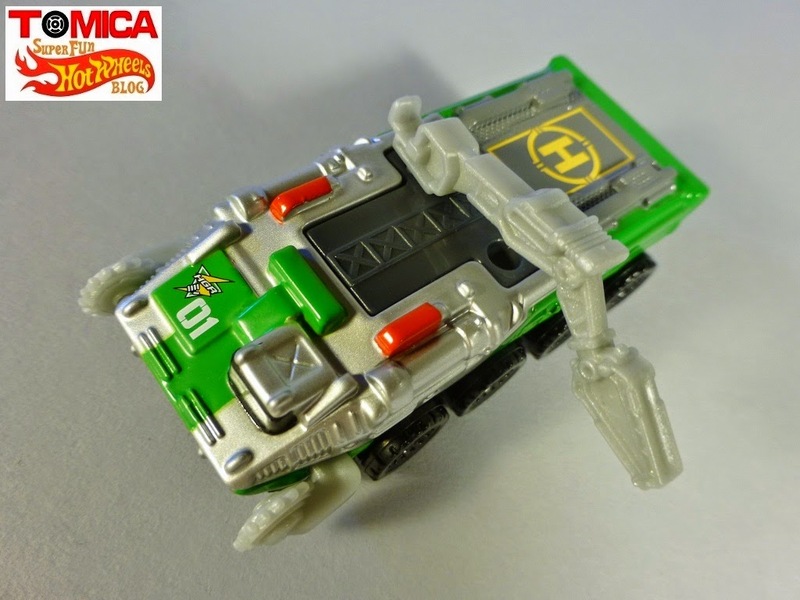 Other features include opening doors and "suspension", like the basic Tomica models... really nice set! 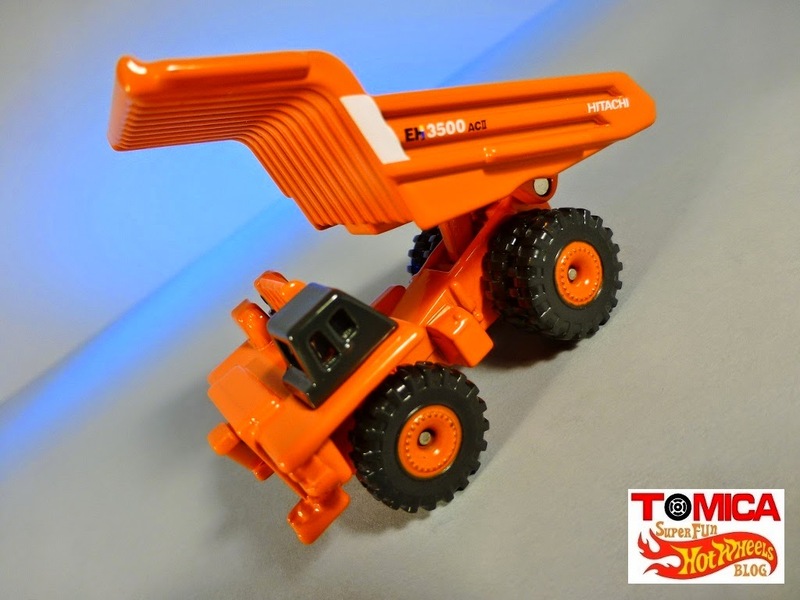 A nice & heavy, metal dump truck- pretty simple yet soled presentation, like the old Matchbox Faun. A notched peg under the bed holds it up when engaged. 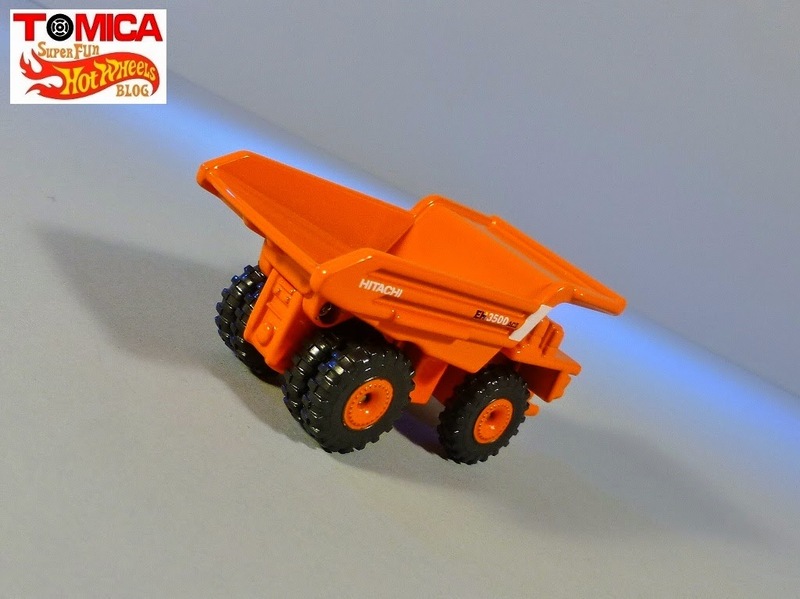 Duallies on back of this great little truck! 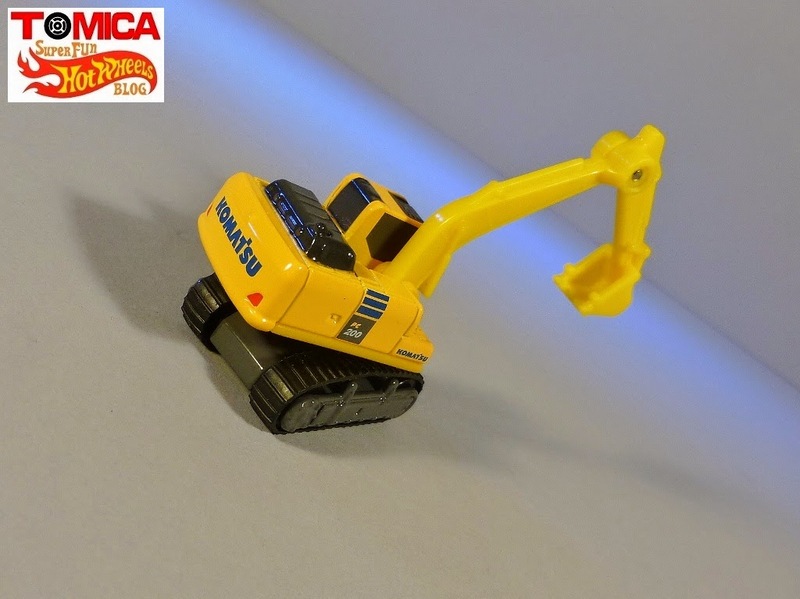 I love how this excavator has two points of articulation and swivel cab, but the rolling rubber tracks really make it great. 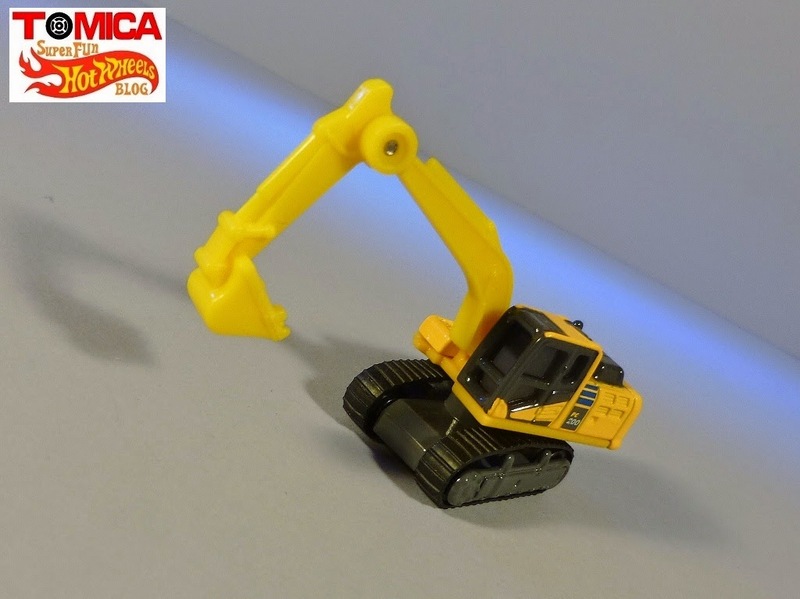 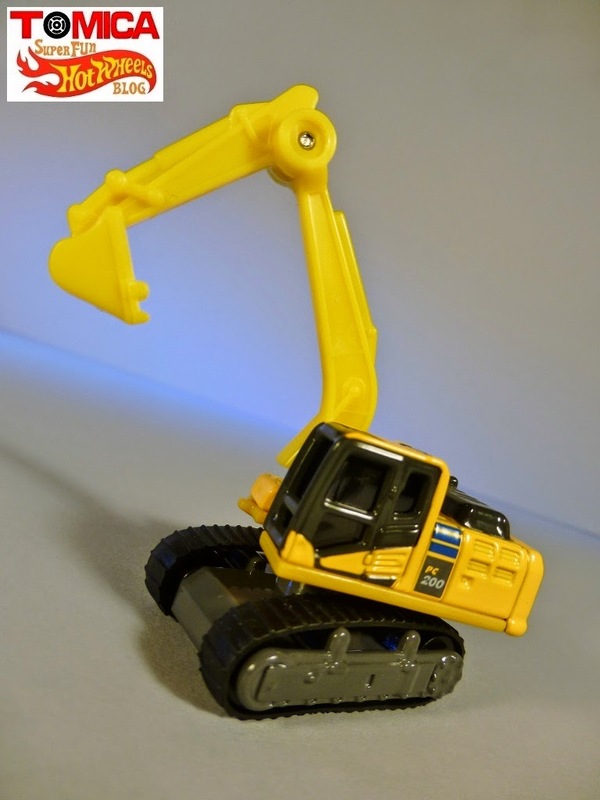 Sure, it requires more force to roll, but real excavators move slower anyway. 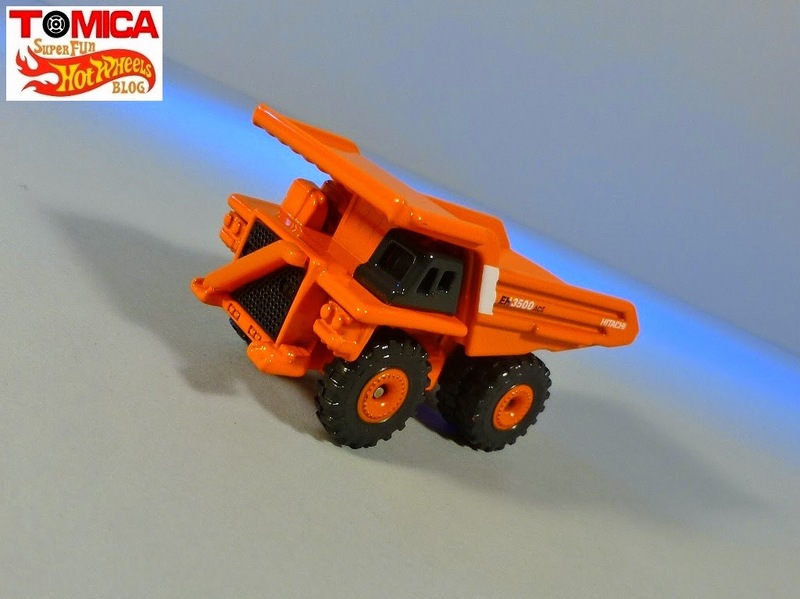 Great little piece!